Up until now we’ve been lucky here in central Maine to have avoided excessive snowfalls this winter. Several large storms have hit us, but the precipitation turned to pouring rain. The nor’easter that started smacking us last night is all snow, pouring snow. 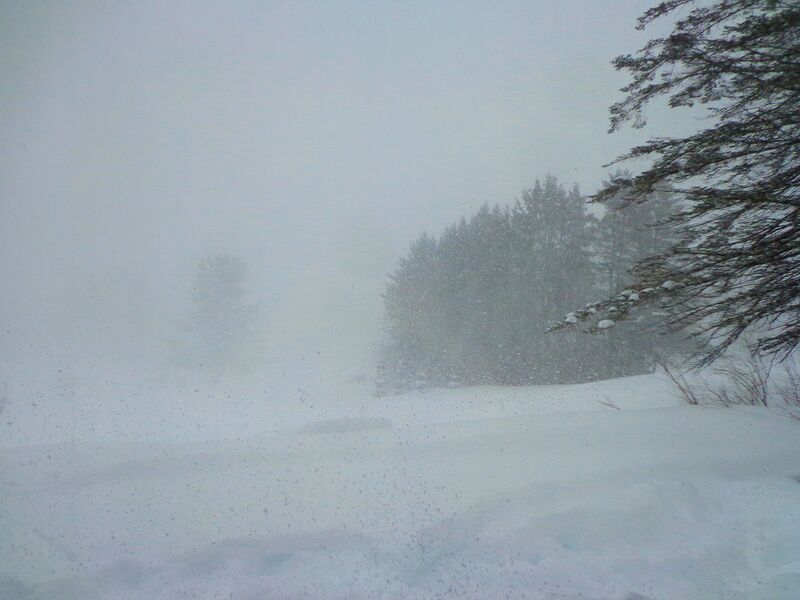 We have blizzard conditions with heavy snow and wind reducing visibility sometimes to only a few feet. The storm, named Winter Storm Orson by some person at the Weather Channel, started yesterday afternoon and has so far dumped about 18″ of light, fluffy white stuff on us. Since the system seems stalled in the Gulf of Maine, it continues to coat us at a rate of several inches per hour. I spent an hour-and-a-half this morning out in the teeth of the storm moving snow out of the driveway with the farm tractor. Not a fun time. It’s easier when the tractor can be faced out of the wind, at least. Otherwise so much snow hits the face that it is blinding and hard to breathe. I managed to clear a passage through the depths so we can get out in an emergency. Clearing the vehicles will take a few minutes. They are rapidly disappearing. 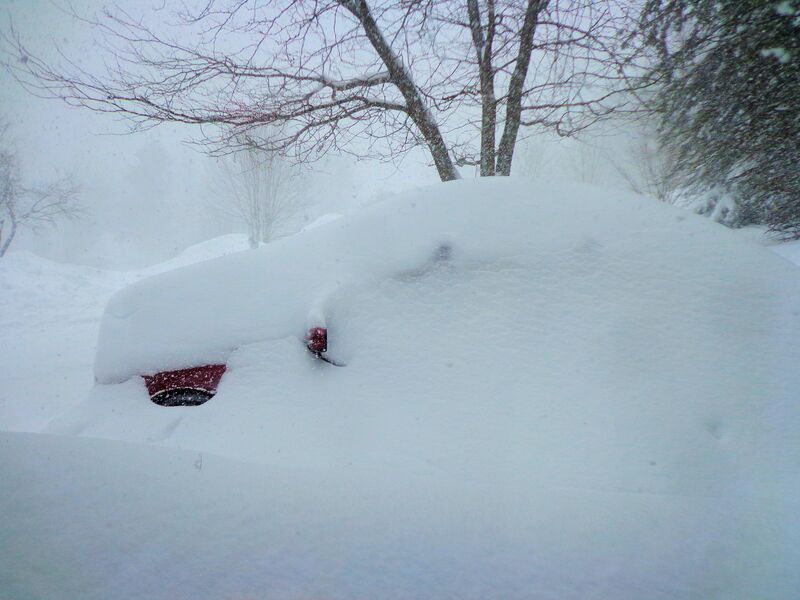 Our Subaru Impreza is barely visible in the drifts. The back door to the house was buried about half-way up and could not be opened. Luckily we could get the front door open to get around back and shovel. The snow is above knee-level on me. I have to wade to get around. We know for sure this is a big storm because the Post Office and UPS have suspended operations for the day in this area. If the mail can’t get through, no one can make it. The road is deserted. I’m happy people are using their heads and staying home. The snow piles are so deep on the sides of the road that our mailbox has disappeared. We are expecting another five solid hours of heavy snow. Guess I’ll be on the tractor in the driveway again before the day is through.